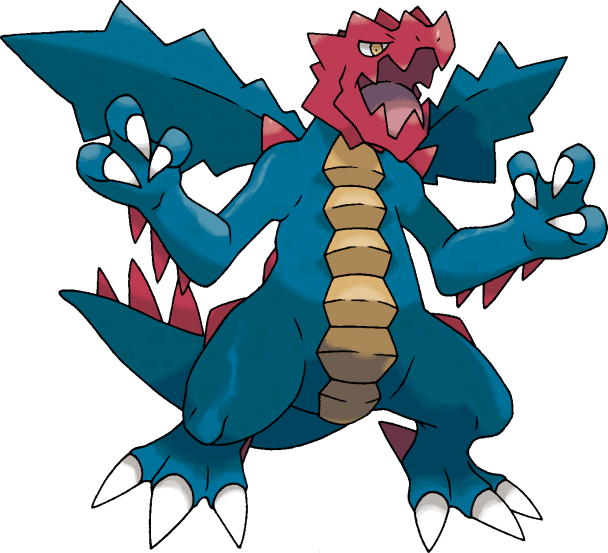 Druddigon in game: 29,257 Who? Important notice! Pokemon Druddigon is a fictional character of humans. 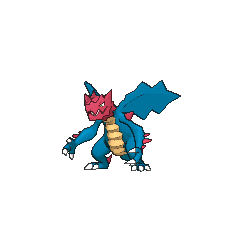 Druddigon (Japanese: ????? 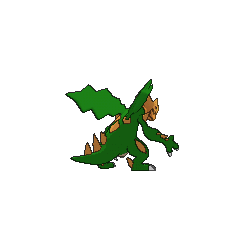 Crimgan) is a Dragon-type Pokémon introduced in Generation V.
Druddigon warms its body by taking in sunlight with its wings; if its body temperature lowers, it becomes immobile. It has savage physical strength; it nimbly chases prey around its den, using its outstretched claws to catch them. Druddigon lives in caves, and is carnivorous. Druddigon made its anime debut in The Dragon Master's Path!, under the ownership of Emmy. 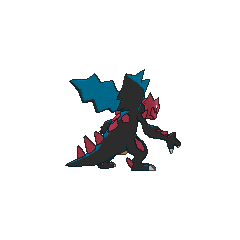 A Druddigon appeared in Search for the Clubultimate!, under the ownership of Gail. A Druddigon appeared in Drayden Versus Iris: Past, Present, and Future! under the ownership of Drayden. Dino was seen using a Druddigon in A Unova League Evolution! in his Vertress Conference battle against Katharine and later Virgil. A Shiny Druddigon appeared in A Pokémon of a Different Color!, where it was calmed and caught by Johto Gym LeaderClair. Another regular-colored Druddigon appeared in a flashback in the same episode. A Druddigon under the ownership of Aliana made its first apperence in An Explosive Operation!. A Druddigon appeared in Iris's flashback in Iris and Excadrill Against the Dragon Buster!. It was defeated by Iris's Excadrill in battle. In another flashback of Iris's in The Lonely Deino!, the elder is shown calming a Druddigon that took refuge in a cave. A Druddigon appeared during the opening sequence of Kyurem VS. The Sword of Justice. A Druddigon appeared as a mask for the festival in Capacia Island UFO!. A Druddigon appeared in The Uprising under the ownership of Iris. Drayden owns a Druddigon, where it was first seen battling against Iris's Fraxure and later, Black's Brav. Iris uses her Druddigon in the Unova Pokémon League semi-final battle against Black. 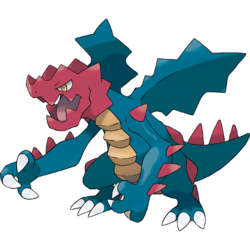 Druddigon has the lowest base stat total of all fully evolved Dragon-type Pokémon. Druddigon appears to be based on the red-headed rock agama. Its natural appearance also seems to resemble a European dragon. 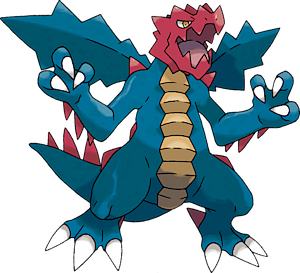 Druddigon may be a combination of dragon and ruddy (reddish in color). The name also appears to show Welsh influences. These include the dd, a common digraph in the Welsh language, and the ending -igon being comparable to Welsh -igion. Wales has also had a long association with dragons, with one being featured on its flag. Crimgan may be a combination of crimson and ? gan (face) or ? gan (rock). Japanese ????? Crimgan From ????? kurimuzon and ? gan. Mandarin Chinese ??? / ??? Chìmiànlóng Literally "Crimson-faced dragon"